We recently had the opportunity to get our hands on a preview copy of the upcoming game Sideshow Swap, and we have to say it was fun for the whole family. Sideshow Swap!™ is an original, deduction-style social game based on cunning and chance. Players take turns swapping performer cards and playing tickets in an effort to sabotage others, all while trying to discover and hold the top performer before the game ends. Squirrel away money to play the best tickets and tilt the game in your favor. But beware! Other players are trying to ruin your plan as well, so it helps to keep track of where the best performers are as the chaos ensues. Cards are quickly and frequently changing between players, so you have to time your moves just right. The game ends when someone lays their last ticket, and players reveal their performers. The highest one wins! Take a Bux from the bank, If you forget that is on you so remember this step! Then a player have the option to either draw a new ticket from the ticket draw pile. If you do this and receive a” Now Playing” card you must follow the action listed on the cars and end your turn, Or play a ticket card from your hand. If a player chooses not to darw a ticket card, then you must either swap their performer in their hand for one in the center row or play a ticket from their hand to the table. The tickets cards have a variety of actions to help you get more Bux or swap performer cards to try and find the highest one in the game, after all, that is how you win 😉 . Each ticket has a price, which player must pay using the Bux to use the card. Play continues with these using the above steps until either a player runs out of tickets in their hand, or the ticket draw deck has run out of cards. Once the game then ends each of the players will flip their performer cards over at the same time to determine the winner, which is the player with the highest performer card. The flip is one of the most energetic points of the game when you see all those around expression 😉 You never really know the outcome until then and the reactions are priceless. While we were playing we had players of all ages from pre-teen to adult and each player was very easily able to pick up the game/rules easily and enjoy it! Their cards pay homage to the classic Sideshow style art banner and posters one would have seen in the hay day or sideshow performers. The Bux tokens have good graphics and are sturdy enough to last many and many games. We will mention that we did play a prototype so components are subject to change. Overall the game is visually wonderful with a fun theme that can be enjoyed by all ages. The gameplay is very enjoyable and fast paced as you would want from a card game like Sideshow Swap. The game provides an easy to learn system that requires some strategy and focus to remember where cards are, who has what, all while being a fast pace highly energetic card game. If you are like us then you have at least 4-6 different games you will play in one night, and Sideshow Swap not only plays great on it’s own, but we will be playing it as a “side” game during others. What We mean by that is when another game take a long time to setup, or waiting for other players is that Sideshow swap is a great filler for players to play during down time as it is a easy, fun, fast paced enough that we will be playing side-by-side with other games on our game nights! 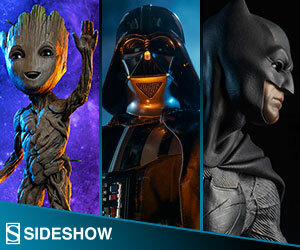 We highly recommend Sideshow Swap! Be sure to head over to Kickstarter and pick up a copy of the game, it does not disappoint! Sideshow Swap is a great game for the whole crew, no matter the age. The Game blends speed, cunning, and strategy in a way that is sure to get the game table excited and yelling with fun!